So kick back, pull up your go-to liquor website, and get ready to spend. 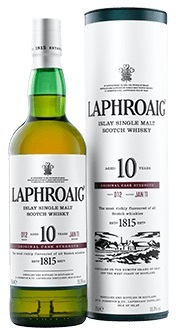 Start the holiday off right with a classic: Laphroaig. In the words of my brother, “it tastes like being dragged across the Scottish moss.” That about sums it up. Laphroaig 10 Year Cask Strength certainly makes an impression, but that’s the kind of whisky you’re going to need around this time of year. Peatiness coats a mineral tang for a Scotch that’s bone-chillingly intense. Every whisky enthusiast should have a bottle of this on their shelves. If you’re looking to impress, this is the bottle that’ll do it. Crème de cassis (aka currants) is back in style with a bang, and that's something to cheer. When it comes to liqueurs, it’s always tricky to straddle the line between creating a flavorful mixing spirit and something deathly sweet. Tuthilltown has succeeded, giving us a low-proof, warming treat that’s a perfect complement to vodka and floral gins. Alternatively, mix this with seltzer and a dash of fruity bitters for a not-quite-soft drink. You know what they say: if you love someone, don’t buy them flavored vodka. While flavored vodkas have earned a bad rep in the past, the ever-innovative Californian Distillery St. George Spirits has gracefully flipped the bird to that stereotype. California Citrus Vodka is zesty flavored vodka made from Valencia and Seville oranges and bergamot. This vodka is begging to be mixed with fresh juice and herbs over crushed ice. Forget everything you’ve heard about flavored vodka and reach for this bottle today. These bitters from Breckenridge Distillery are herbaceous but quite fruity - think prunes that got freaky with a spice garden. As evidenced from our time at the Whiskey Washback, these go exceptionally well with rich, smoky whiskies. This product is similar to Benedictine in that it possesses a sweet, earthy flavor. It’s a bit on the... unique side, so gift a bottle to someone with adventurous taste. For the beer lover in your life, consider a 6-pack of Avery Brewing White Rascal. This is a perfectly spicy, traditional wheat beer à la the classic Belgian wits. It’s nothing fancy, but it’s remarkably palatable and a good companion to traditional holiday fare because of its spice. Everything from the coriander to the robust yeasty flavors to the orange go well with heartier meats and desserts. Alternatively, this is a great beer to drink straight from the can while you’re kicking it at the fire place. Now is the time to bust out a viscous dessert wine, and this Moscatel is one to watch. Unlike cheap moscato which is bubbly-sugary and tends to lack depth, this Portuguese dessert wine has complex waxiness and earthy dried fruits, similar to a high quality Cognac. Though you won’t want to take glugs of this as you’re casually dining, this is a thoughtful gift to present to your host when you’re digesting your last course or two. One tiny glass and you’ll be completely satisfied. We’re thrilled that the mixers scene is catching up to the craft spirits boom. Owl’s Brew produces unique tea-based mixers that are ideal for punches and party drinks. This set includes The Classic (an English Breakfast blend), Pink & Black (a darjeeling hibiscus mash up) and Coco-Lada (a coconut chai masterpiece). This is a lovely gift for someone who’s overwhelmed with bottles but doesn’t have time to create artisanal simple syrup or lacks a SodaStream. Incidentally, a SodaStream is also a nice holiday present. 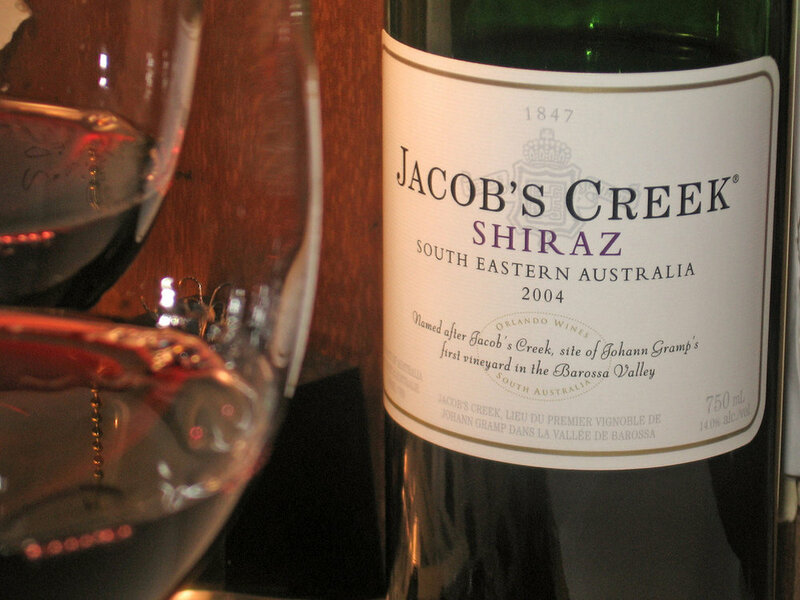 Ridiculously affordable (around $10) for being so good, Jacob’s Creek Classic Shiraz is a fabulous gift to bring to dinner. Whereas White Rascal is apt for holiday food in terms of taste, this Shiraz works because of its texture. It’s thick and tannic, drying out your mouth just enough to prepare it to eat more food and drink more wine. Plus, the berry-packed palate will stand up to heavy sauces. And did we mention the price? Well, let’s just emphasize it again: less than $10!